Nearly all firearms create noise louder than 140 decibels (dB). Exposure to noise this loud, even for brief periods of time, can cause permanent hearing loss. The good news is we can protect ourselves by always wearing appropriate ear protection. 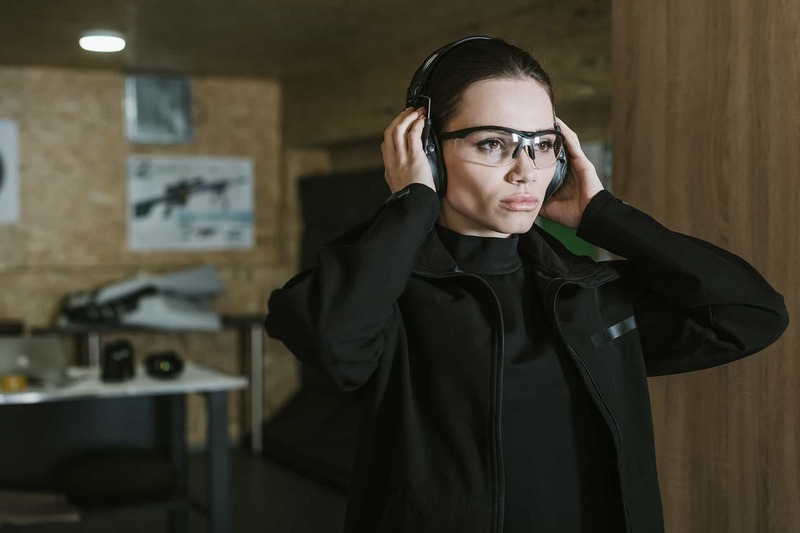 In this article I’m going to break down the main types of hearing protection and discuss the advantages and disadvantages of each. By the end you should have a good idea which type of hearing protection is right for you. 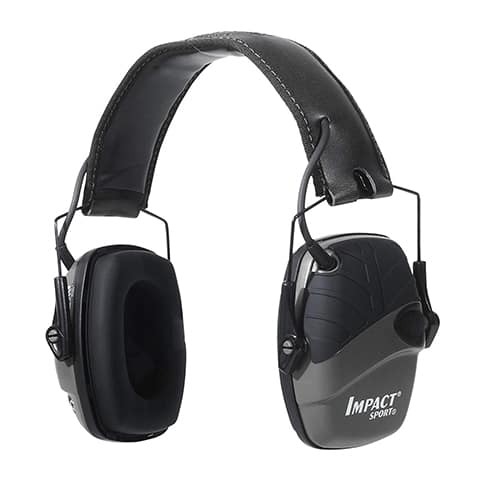 Earmuffs are by far the most common type of shooting ear protection, and for good reason. The biggest advantage to using earmuffs over earplugs is you can use them over and over again. One purchase will last you years to come. The only downside to earmuffs is thick ones can interfere with your ability to shoot long guns (rifles and shotguns), but when it comes to pistol shooting there isn’t really a disadvantage. There are two main types of earmuffs: passive, and electronic. Passive earmuffs such as the Pro For Sho Shooting Ear Protection are the most common among recreational shooters, and for good reason. 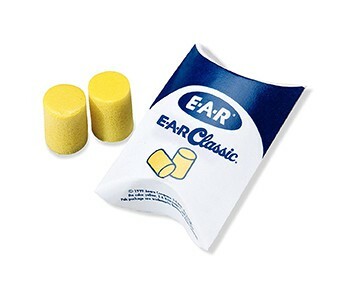 They provide excellent hearing protection at a very affordable price. Passive earmuffs work by providing an insulating sound barrier that helps block out nearby noise. The biggest downside to passive ear protection is it reduces all noise, even noise that isn’t loud to begin with. This means it can be difficult to have a conversation with a shooting buddy without shouting back and forth. For this reason, I highly recommend using electronic earmuffs if it’s in your budget. What makes electronic earmuffs so great is they don’t reduce the sound level until a loud noise occurs. For example, the Walker’s Razor Slim Electronic Earmuffs provide sound activated protection for noises over 89 dB. Anything less than 89 dB will not be muffled. If you’ve ever tried having a conversation on the firing line with passive earmuffs on, you know where I’m coming from. For those who only shoot occasionally electronic earmuffs may not be worth the extra cost, but for the serious shooter the pros definitely outweigh the cons. Earplugs reduce noise much the same way passive earmuffs do; the difference being they go inside your ear instead of around the outside. 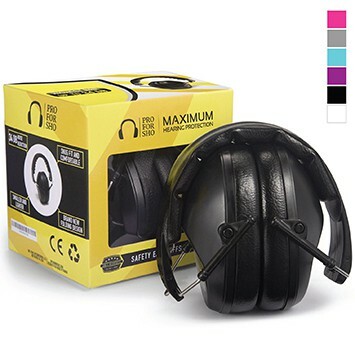 They are great to have on-hand in case you forget to throw your earmuffs in your range bag, or if you’re bringing a friend who is new to shooting and he/she doesn’t own any gear yet. I don’t recommend using earplugs as your primary source ear protection though. It’s not because they don’t work well, because they do. But they’re not very comfortable, and can even become painful if you wear them for an extended period of time. It’s ultimately your choice, but if you plan on shooting more than once or twice a year I strongly recommend buying a pair of good earmuffs. And if you plan on shooting more than once or twice a month, I recommend you grab a pair of electronic ones. The added comfort is priceless.